People have traditionally given paper Valentine cards to those they admire and care about on February 14th. These days, however, the internet makes it faster, easier, and a lot more fun. There are all sorts of sites that you can take advantage of to send free Valentine ecards to anyone you like. Everyone checks their email, sends texts and browses social media on a daily basis anyway, so why not? 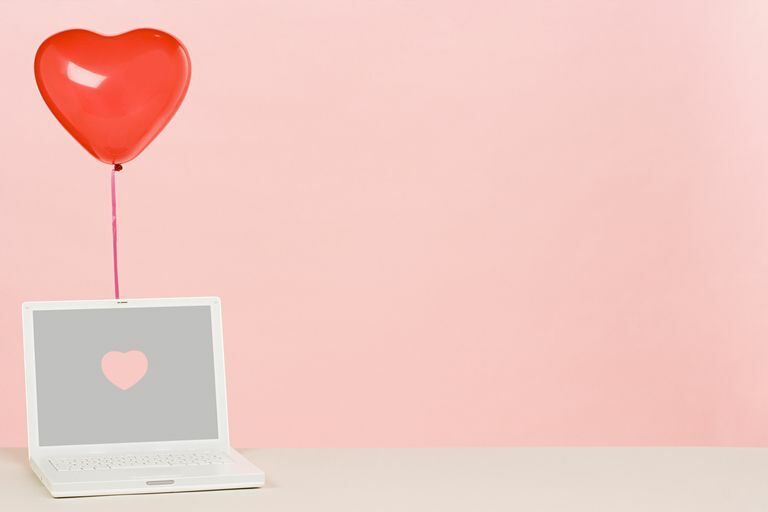 A digital Valentine card may not ever be a true replacement the traditional version, but it's a nice gesture nonetheless. Of course, you don't want to send just any old Valentine card that isn't funny or heartfelt. You'll need to pick from some good ones. Check out the list of sites below that offer some of the best choices. Share for free using a link. As one of the most popular e-card producers on the web, you’ll be sure to brighten someone's V-Day with a virtual card from Someecards. The graphics aren’t exactly incredible since they’re kept super simple, but that’s part of what makes them special and very identifiable on the web. If you know anyone who loves blunt and often vulgar humor, Someecards will be a sure-fire winner. Fun take on customizable ecards. Register with email or Facebook. Must enter credit card details. Several years ago, it was a bit of a big trend to use JibJab, which is a fun little tool that allows you to paste photos of your face onto some dancing Christmas elves for a ridiculously entertaining and personalized video. Now, JibJab has dancing characters for the Valentine variety too. These are really fun if you want something a little different from the more basic Valentine e-cards, and there are lots of JibJab e-cards to choose from! Form to customize and send. Not all cards can be sent for free. Need to send a more sentimental e-card instead of one that tries to make you laugh? 123Greetings can help you out with that. This site has a ton of sappy, affectionate or “lovey-dovey” e-cards to choose from—similar to the hardcopy ones you’d find in the card section of your local greeting card store. They're a great choice if your Valentine is expecting something really romantic! Sort by tone or collection. Must register to send cards. Even the biggest greeting card seller makes virtual ecards for you to send. That's right — you no longer have to spend half an hour at their retail store waiting for indecisive people to move out of the way so you can take a look at the hard copy cards because Hallmark has e-cards on its own website. Hallmark even has a great feature where you can personalize your handwriting for your e-cards using different fonts. Personalize with a simple form. Must purchase the premium cards. justWink's ecards are actually designed to look like real hard copy cards even when viewed on a computer or mobile device, which is a great feature that helps it stand out from some of the rest on this list. In fact, you even have the option to send your card by snail mail if you don't want to do it electronically. Just be aware that you have to use their free mobile apps for iOS and Android to design and send your card. Register with email or Google. Free account only allows three pages. Lucidpress is a free and powerful tool that gives you templates to work with for creating and personalizing your own Valentine ecards. It's a great option if you really want to get creative with customizing your e-cards so they look just right. You also have the option to create printable cards if that's more your style. Must register to start free trial. A few cheesy cards in the collection. American Greetings is one of the largest retail producers of hard copy greetings cards, offering up a great selection of free virtual e-cards on their website too. They have a wide variety to choose from, including e-cards for your sweetheart, for your kids, family, friends or anyone else. Whether you want your e-card to be romantic, funny or heartfelt, you should be able to find the right with American Greetings. Easy and free to send. Feeling a little more on the romantic side and needing a little less humor in your Valentine e-card? Choose from a number of differently animated e-cards that come with romantic messages, video or music and add your own personal message as desired below the e-card. Space is unlimited for your personal message so write as much as you like! Quick and free to send. Finally, as the last suggestion, there’s funny-ecards.com. Although they might not live up to all your expectations in terms of humor, you can still find some pretty good ones if you dig around a little. They’re all free, so you have nothing to lose. They even have a few singing Valentine e-cards with professionally recorded soundtracks to choose from.